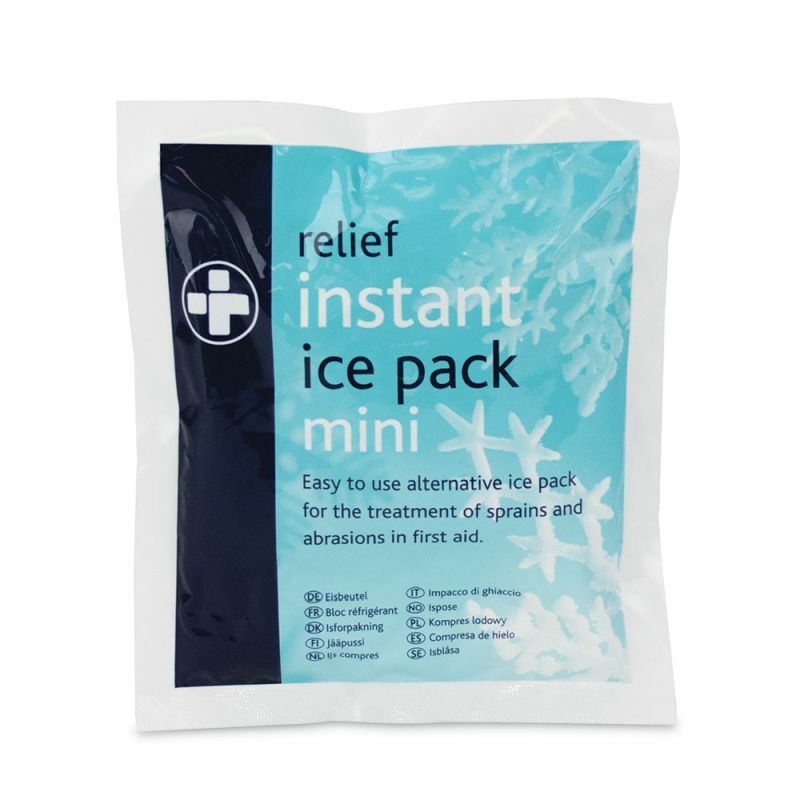 For on the go first aid treatment, the Relief Disposable Mini Instant Ice Pack is an easy to use ice pack for treating sprains, abrasions and sports injuries. Portable and free from ammonium nitrate, it is the ideal product to provide immediate, on the spot ice therapy to swelling limbs and joints. The Mini Instant Ice Pack is designed for single-use, providing a temporary solution to relieve pain, swelling and inflammation of injuries. It is highly effective in the first step care of sprains, strains, sports injuries, and even arthritis. To activate the cooling agent in the Mini Instant Ice Pack, twist the inner bag until you can hear a popping sound. Then, shake the contents of the pack until you can feel it reaching the desired level of cold. Apply the pack over the injury using a cover to avoid ice burns, and leave on the affected area for 20 to 30 minutes, making sure to regularly check the colour of the skin. If you notice the skin turning a bright pink or red, please seek out professional medical attention. The Relief Disposable Mini Instant Ice Pack is usually dispatched via First Class Royal Mail and delivery should be within 1 to 3 working days.